Match iTunes stores your entire music library in the cloud, allowing you to enjoy your collection at any place, time or iPhone, iPad, iPod touch or computer. The system will allow both streaming and downloading songs. The launch of this service had been anticipating for a very long time, therefore, that Google and Amazon went ahead with virtual hard disks where you can upload and stream music. 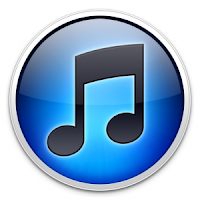 However, neither has the weight of iTunes become the largest retail space in the world of online music. Although Apple announced icloud in June , had not made ​​mention of streaming or said a lot about iTunes, but it is now clear that the implementation of this will be ready for service launch in September . Other developments included will be the possibility of streaming from the cloud to any number you purchased from iTunes. Apple made a video tutorial style and serve as a “preview” for those who do not have access, then we left.